Charming Vintage Farming Landscape Image! 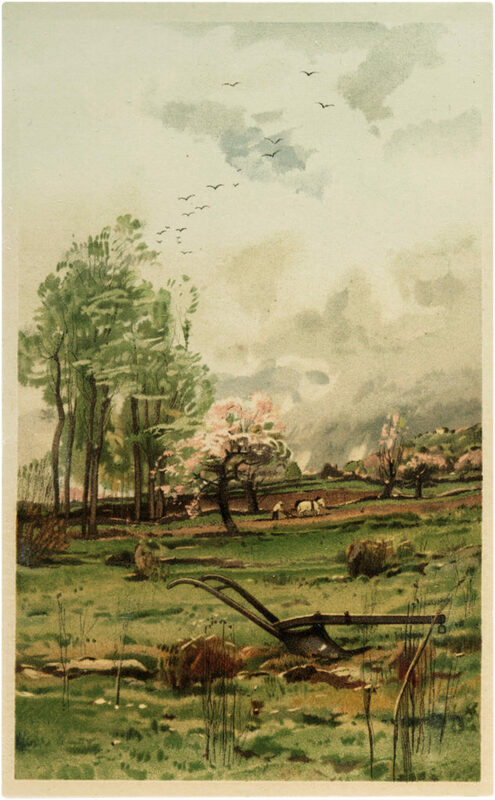 Today I’m sharing this Charming Vintage Farming Landscape Image! In this charming landscape a plow rests in the foreground while a farmer and horse plows in the distance. There are beautiful trees, some with pink flowers, and rolling terrain. A barn is slightly visible in the background.So nice to use in your Spring Craft or Collage Projects! 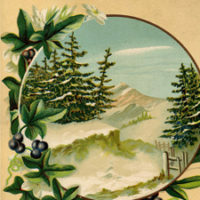 12 Vintage Winter Graphics – Landscapes Lovely Vintage Countryside Stone Cottage Image! Vintage Gray Bird and Snake in Forest Thicket Image! « Marveous Vintage Bluethroat Bird and Yellow Iris Image! Decided to print this scene out also. Have some narrow frames can put this scene into. Thank you for this scene also. Those 2 books I told you about are centered in 30’s and 40’s, periods I particularly love to read about in England and Scotland.